In an age where refrigerators are doing all kinds of smart, crazy things, it's surprising that it's taken this long to see one that dispenses fresh coffee. In any case, it's here: GE is now promoting a refrigerator that brews up coffee and tea using a Keurig K-Cup single-cup brewer. 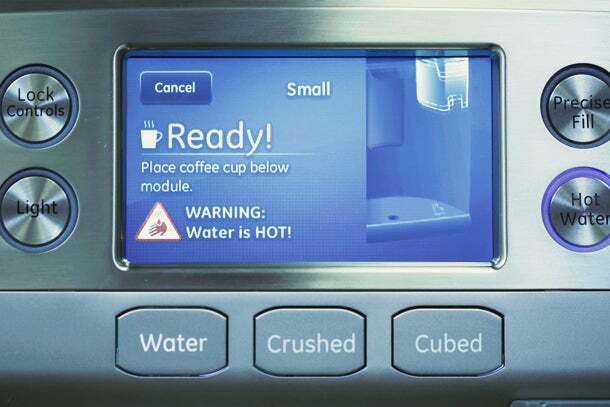 The new appliance comes exactly two years after GE created a fridge that dispenses hot water. Customers of that product were the inspiration for the latest one: two-thirds of them said they'd be interested in a single-serve hot beverage dispenser, according to a company release. The refrigerator uses Keurig's already existing and widely available K-Cups. 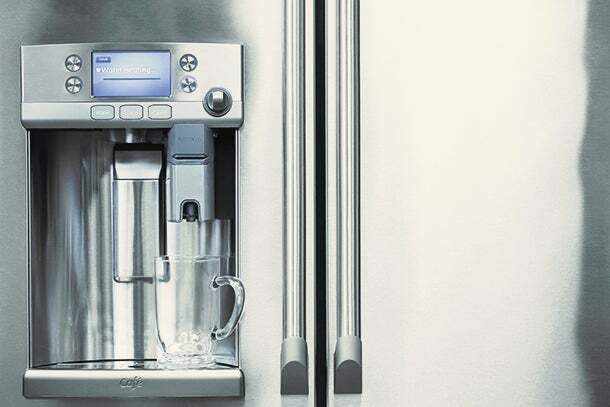 With GE connected technology, the smart fridge will be also allow owners to preset a brew time so the water is warm, ready and waiting in the morning. For caffeine addicts in the market for a new fridge, the wait won't be long: the refrigerator will be available for purchase in the second half of this year, priced at approximately $3,300. The built-in coffee dispenser is head-smackingly obvious as smart refrigerators become more common and K-Cups take over the coffee business. However, the fridge still manages to feel like something you'd see on the Jetsons. Check out the video below to see the futuristic fridge in action.